Bohemian Los Angeles brings to life a vibrant and all-but forgotten milieu of artists, leftists, and gay men and women whose story played out over the first half of the twentieth century and continues to shape the entire American landscape. It is the story of a hidden corner of Los Angeles, where the personal first became the political, where the nation’s first enduring gay rights movement emerged, and where the broad spectrum of what we now think of as identity politics was born. Portraying life over a period of more than forty years in the hilly enclave of Edendale, near downtown Los Angeles, Daniel Hurewitz considers the work of painters and printmakers, looks inside the Communist Party’s intimate cultural scene, and examines the social world of gay men. In this vividly written narrative, he discovers why and how these communities, inspiring both one another and the city as a whole, transformed American notions of political identity with their ideas about self-expression, political engagement, and race relations. 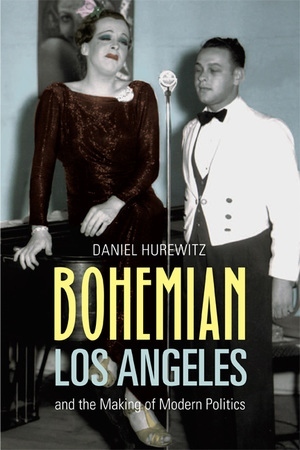 Bohemian Los Angeles, incorporating fascinating oral histories, personal letters, police records, and rare photographs, shifts our focus from gay and bohemian New York to the west coast with significant implications for twentieth-century U.S. history and politics. Daniel Hurewitz is Assistant Professor of History at Hunter College, City University of New York, and author of Stepping Out: Nine Walks through New York's Gay and Lesbian Past.